To say that I’ve had a very fulfilling career at Rentwise may be an understatement. It’s been a fabulous journey! Having spent an accumulation of 6 years here (with a 1 year sabbatical in between to help turn around a family business), I’ve progressed through 5 different levels of advancing career responsibilities, beginning with my early days as an Intern. Looking back now, the journey has been both nostalgic and colourful. As an intern, I started at the most basic of duties in our Warehouse and Refurbishment Centre. Thereafter I moved to Service Delivery operations performing on-site technical work. As an On-site Technician, my job involved deploying equipment and being the first on site at a client’s location to trouble shoot any equipment breakdowns before attempting a fix. I was the infantry on the ground, moving about mobilizing Rentwise’s deployment of products and services. It was challenging, everyday was different and that was what made the role interesting. Not long after, I was promoted to the position of Service Management Executive. Although more office-based as compared to my previous capacity, it provided me with first-hand experience on how the many components of the business were managed. We were growing rapidly and to manage the growth in the East Malaysian region, we appointed service partners for our offices in Sabah and Sarawak. I was responsible for managing these partners ensuring the services rendered to our clients were constantly up to mark. I’m proud to say I did well in this role which led to a further promotion as Team Lead of the Service Delivery Department. In addition to partner management, I managed a team of onsite engineers and Support Centre Executives. Having had both technical field experience and basic management skills in my previous two roles, I was more than ready to take on my third but no less challenging position to provide technical guidance to my team members and subsequently clients. One rather interesting memory that comes to mind was travelling out onto the open sea in Singapore on a speedboat to deploy equipment for a ship owned by a client. There was a miscommunication with our client’s coordinator and we ended up boarding the vessel late, being publicly scolded by the client’s Senior Manager, much to our chagrin. However, we completed the job in 7 hours with a smile on our face! As time passed, my responsibilities grew further. I was very well exposed to all aspects of the IT rental business and I had my superiors to thank for, for believing in me. I was eventually promoted to Assistant Manager of the Service Delivery & Quality Assurance Department. In this even larger position, I was responsible for developing and enhancing the Service Delivery and QA Department SOPs. It was here that I instituted the processes of ensuring before a particular piece of equipment was deployed, it had to go through a thorough process of ensuring quality is tip top by conducting a series of stress/torture tests on the equipment. After passing these series of tests, my team had to ensure a correct “image” was installed before deployment could take place. This “image” is a snap shot of the intended default OS and Application configurations required by a client (including third party software such as Lotus Notes or industry-specific software tools like AutoCAD). Settings were then customized to ensure all equipment deployed was ready for use by clients upon turning it on. My learning curve was tremendous during my tenure as the Assistant Manager of Service & Quality Assurance. Technical details may be boring to some but I developed a pretty fond inclination for it. Finally, through sheer hard work and determination, the once in a lifetime opportunity presented itself. 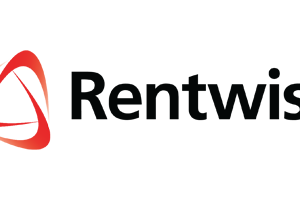 I am now the Procurement Manager of Rentwise. My current role brings with it far greater responsibilities but I did not come this far to fail. I believe I’ve been well groomed for the past 6 years and I’ve been through enough to prepare me for this new episode of my career. I’ve grown by leaps and bounds and my superiors can attest to this. Because of my exposure to the various aspects of the business, I emerged a more confident person knowing that nothing is impossible. Learning never ends and I hope to be able to further widen my horizon and assume larger responsibilities as more opportunities present themselves. Knowledge is what I seek to grow both as an individual and as an important asset to the company. My current job revolves around minimizing expenditure and maximizing profits by sourcing and procuring IT equipment (e.g. notebooks, desktops, workstations, servers, software and networking gears) from both local and international supply sources. My job also requires me to collate and analyze historical, market and seasonal trends in IT usage to enable me to provide sound recommendations to forecast inventory targets based on the changes in demand, market trends and equipment availability. Rentwise is a Microsoft Registered Refurbisher. This means we are able to provide either versions of the bundled MS Office or genuine Microsoft Windows in our refurbished notebooks/desktops at a lower cost without resorting to buying new retail copies for the benefit of our customers. This is a huge value-add to our clients. I have a pretty unusual way of keeping myself motivated. I reflect on my progress at the end of every single day. I strive to keep every day as fruitful and fulfilling as possible. I believe a healthy working relationship with my colleagues is essential, as the resulting good vibes creates a harmonious working environment. To de-stress when needed, I take a break and reflect back on past challenges that have been overcome. By so doing, it serves as a reminder that no problem is too great a problem. Problem solving has always been a driving force in my career. It’s truly an infectious euphoria to know you’ve successfully solved a pressing problem. One of my most rewarding experiences and achievements at Rentwise is one that has stood the test of time. In one of my previous roles, we encountered an unusually high report of New Order Failures (i.e. NOF – reported failures from clients for whom solutions have been deployed, within a week). I did some research into using new software testing tools to ensure stability of all units deployed. My recommendations were eventually implemented and this has greatly reduced the NOF cases. Since then, this software tool has been used in all our QA processes before deploying to our customers. To perform well in my work, good negotiation, analytical and multitasking skills are essential. I also need to have good business and financial acumen. An aptitude for technology is crucial too to keep myself abreast of new updates in the field. I’m certainly very proud to be working for Rentwise and to be a part of its “Green IT” initiatives, which is all about creating a sustainable environment in the usage of Information Technology. Most of our colleagues here at Rentwise play futsal and I share the same interest. Besides futsal, I love cooking and fishing. I may only know how to cook pasta but I’d love to think it’s the best ever! Fishing is addictive. I go fishing once a week, either at Banting, Jugra or Kuala Selangor. I find the entire fishing maneuver of grappling with your catch an adrenalin-filled “sport”. Once the bait is bitten, one has to reel in the line just enough before relenting. When the moment is right, one continues the struggle with the fish. The objective is to tire out your catch before you win the wrestle. It’s very much a mind game, no different than that of negotiation skills at work! 6 years may seem like a long time but it’s gone by in a flash. The knowledge and experience gained is invaluable. I certainly am looking forward to rendering my service for as long as it takes to make my career at Rentwise a truly memorable journey; much more than it already is.